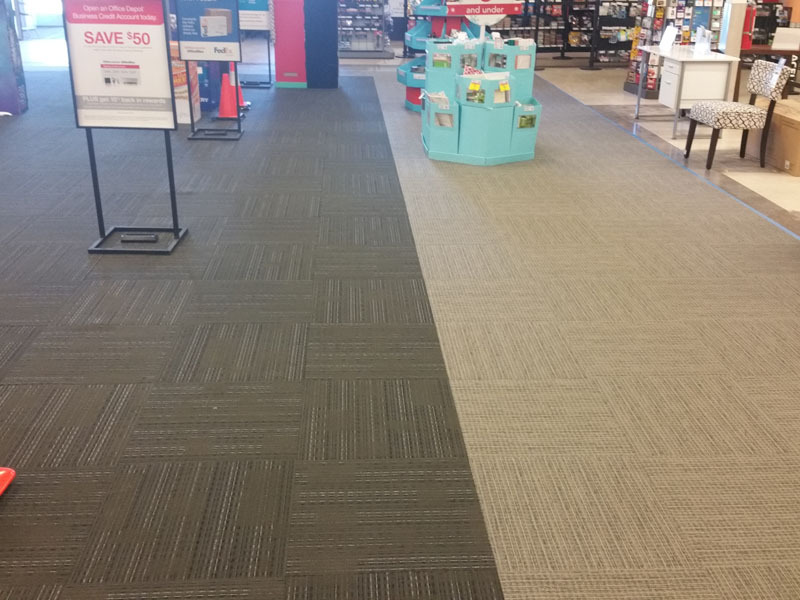 One of the nation’s leading office supply stores recently made the significant commitment to remodel about 66 stores this year with brand new designs.  As with any remodel project that has an existing floor slab, challenges may occur, and when using vinyl backed carpet, sub-floor moisture cannot be ignored. 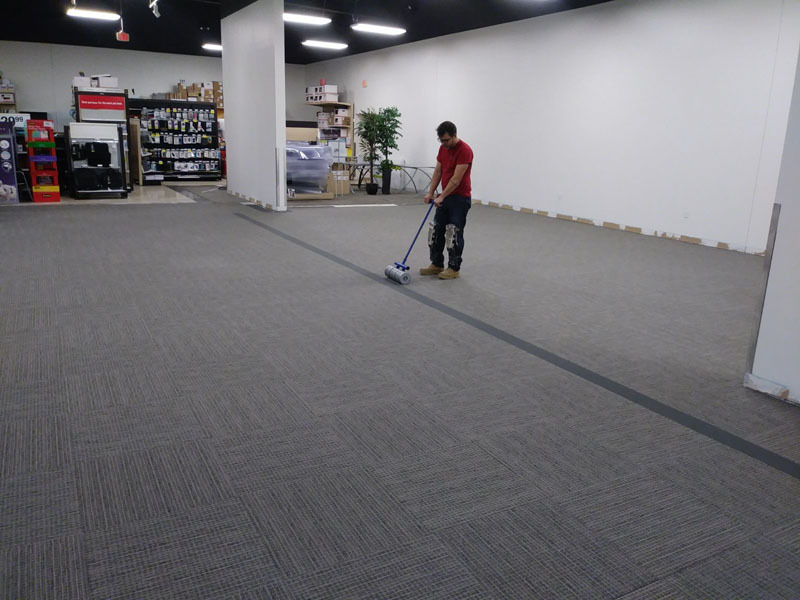 To execute this roll-out and manage moisture concerns, they turned to trusted flooring partner Inside Edge for help. 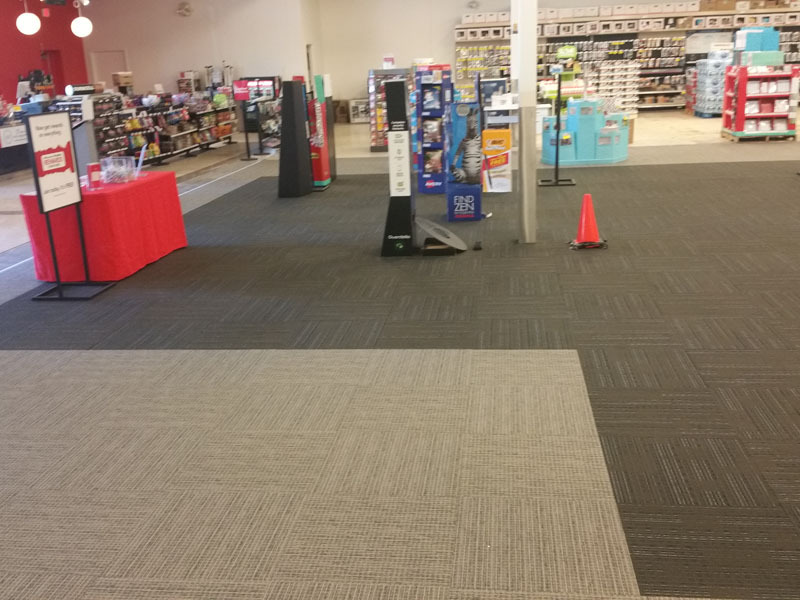 During the site survey process Inside Edge identified a store in TX had unacceptable levels of sub-floor moisture and would need a moisture mitigation solution. 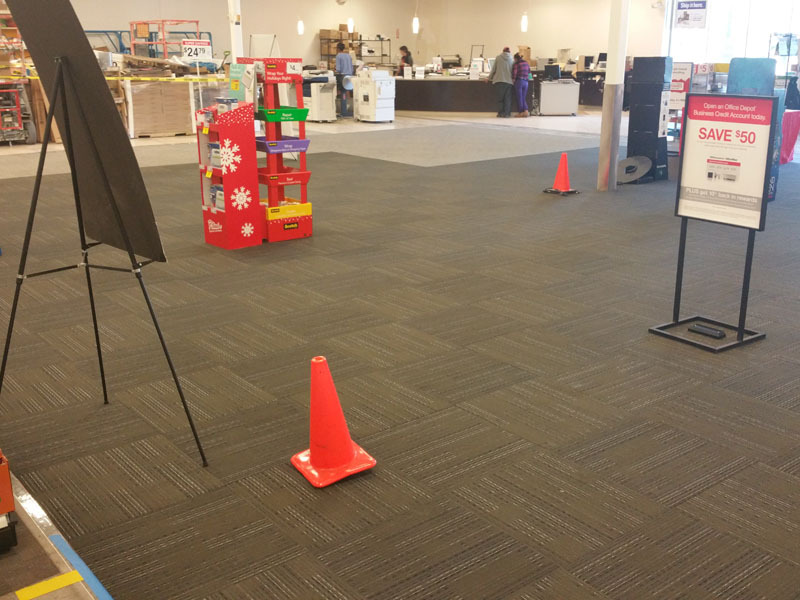 The challenge was to find a cost-effective system that was compatible with the carpet tile, suitable with under-carpet wiring, and cause the least amount of disruption to install in an occupied environment. 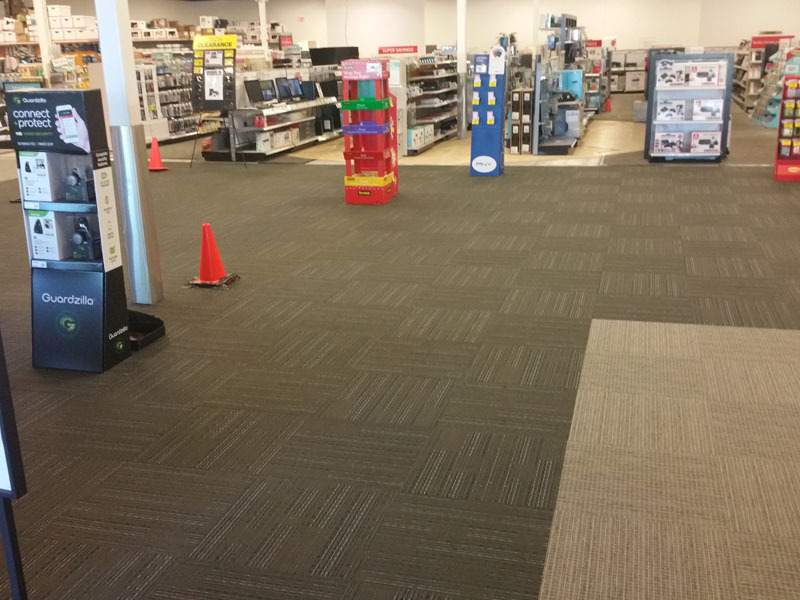 During this remodel process the store was downsized, the new model has a smaller square footage, the supplies section has been reduced dramatically and electronics have the spotlight at the center of the store. The new layout also has a new station for all small business needs, and a separate repair station for phones and computers that previous locations didn’t have. Inside Edge selected an under-carpet membrane system that could be installed directly on the concrete, then the under-carpet wiring was installed on top of the membrane and the carpet was glued on top of the wire and membrane. There was no drying time typically found with coatings or mess associated with extensive concrete grinding.